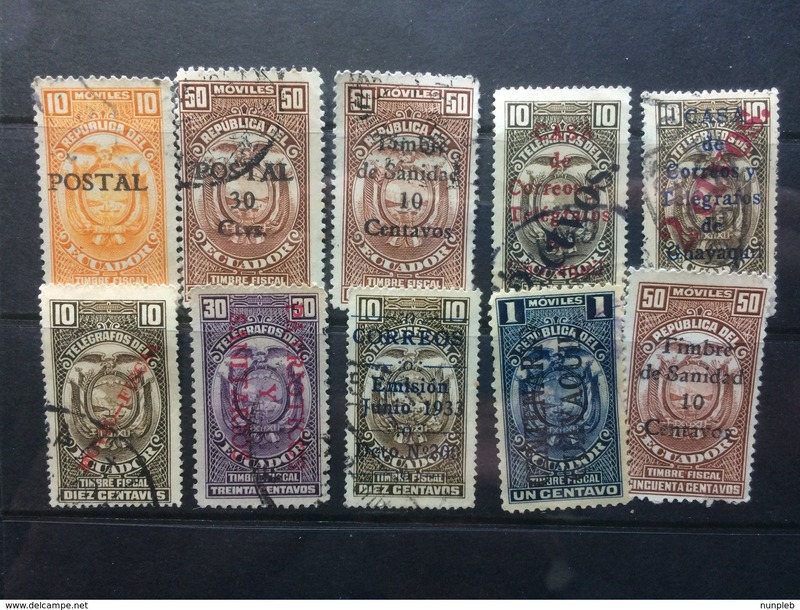 New Ecuador 1908 Quito-Guayaquil set/7 Railway train Waterlow Archive Copies with Punch Holes x 4 – see text. 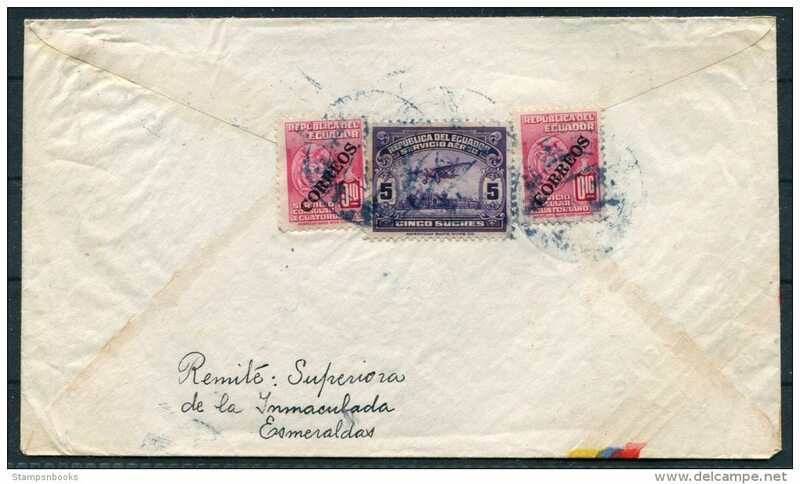 Ecuador 2003 Crosshatched Triggerfish and Moorish Idol unmounted mint. Ecuador 2003 Hammerhead shark and Chelonia mydas agassisi unmounted mint. 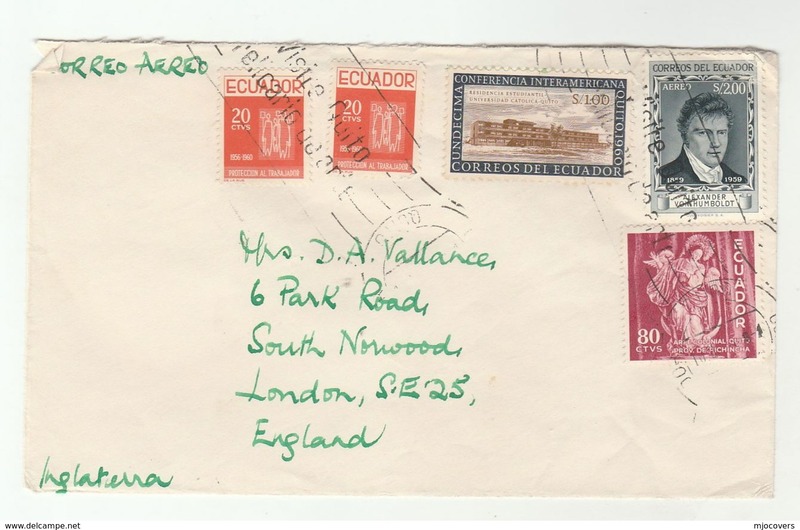 Ecuador 2003 Philatelic magazine covers umounted mint. 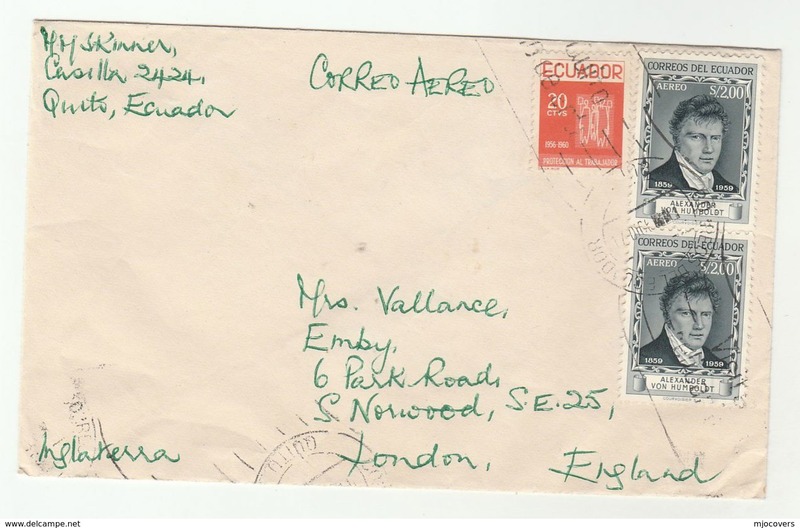 Ecuador 2003 Postal Stationary verticle pair umounted mint. 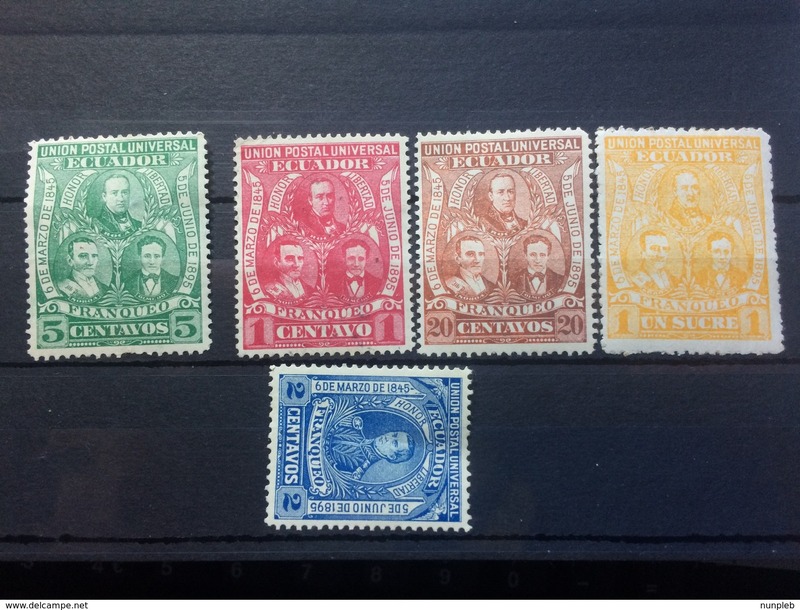 Ecuador 2006 Machala umounted mint. Ecuador 2006 Mothers of the Disappeared umounted mint. Ecuador 2006 Baltazara Calderon de Rocafuente umounted mint. 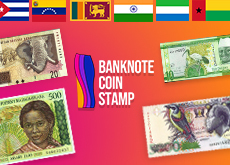 Ecuador 2006 National Student Federation umounted mint. 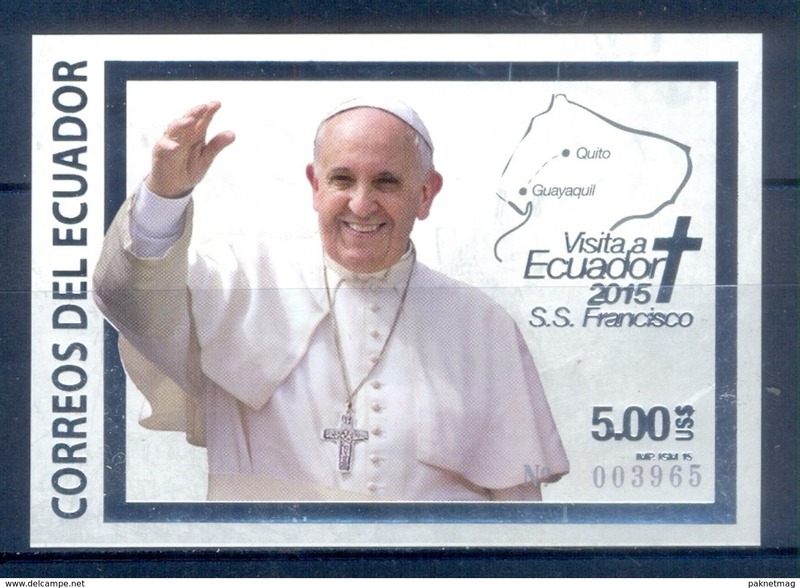 Ecuador 2006 Christ carrying the cross souvenir sheet umounted mint. 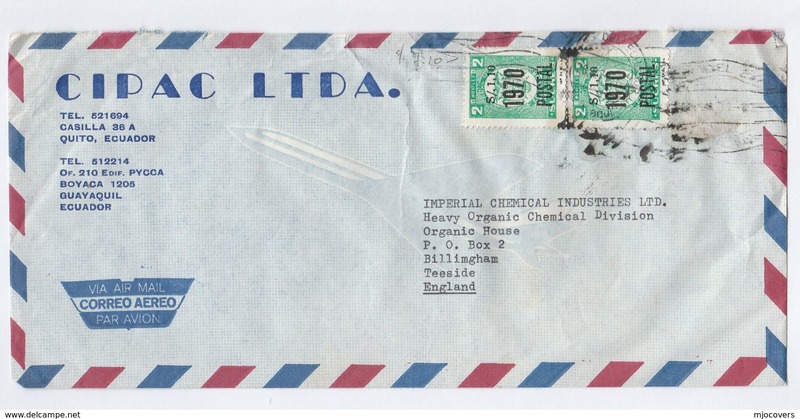 Ecuador 2006 Orchids souvenir sheet umounted mint. 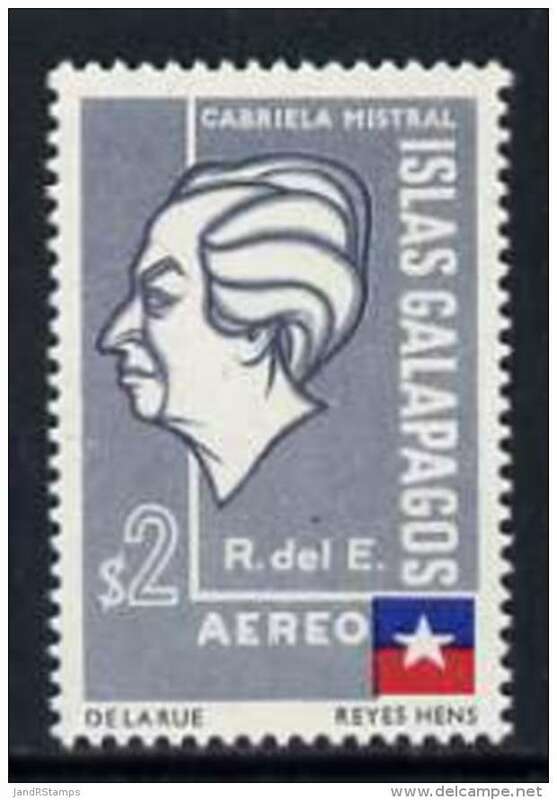 Ecuador 2006 Pablo Palacio umounted mint. 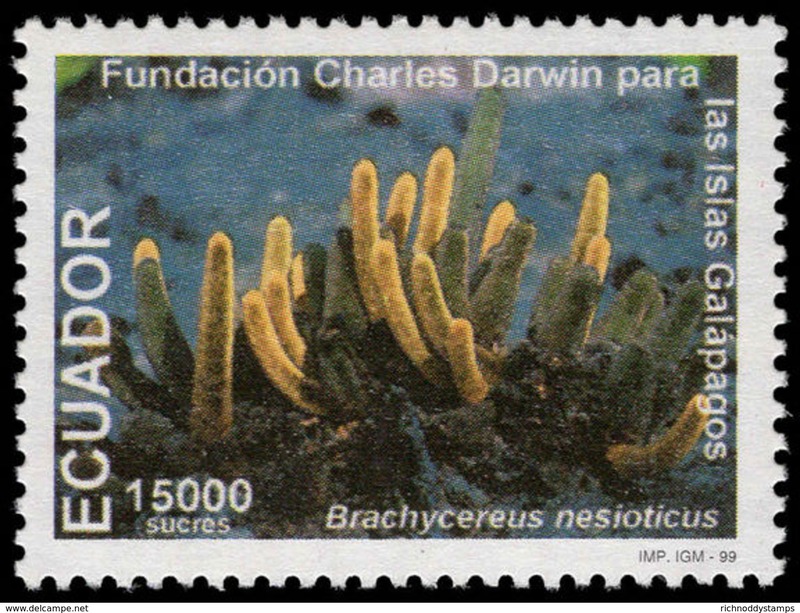 Ecuador 1999 150000s Galapagos Coral umounted mint. 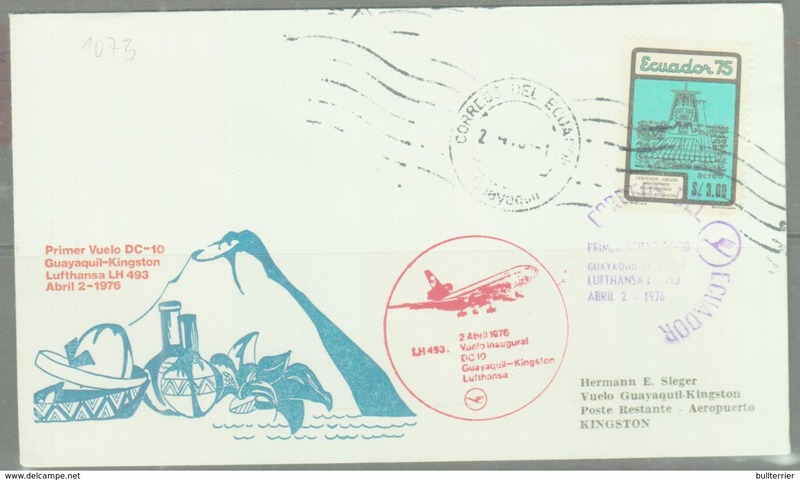 Ecuador 1999 150000s Galapagos Flightless Cormorants umounted mint. 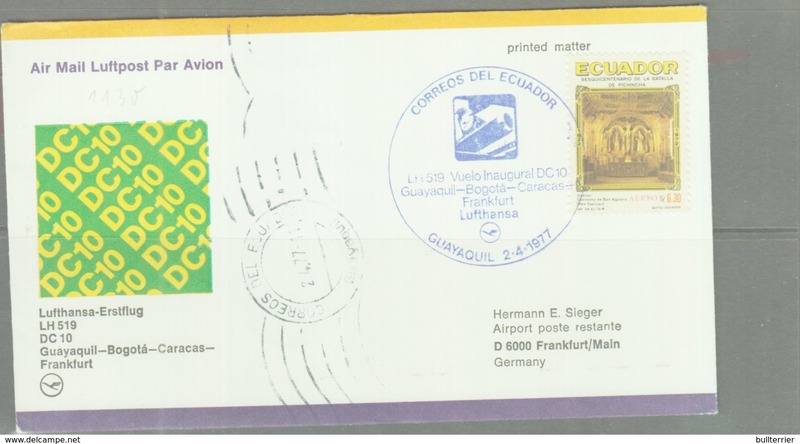 Ecuador 2006 German Shepherd Dog Breeders Association umounted mint. 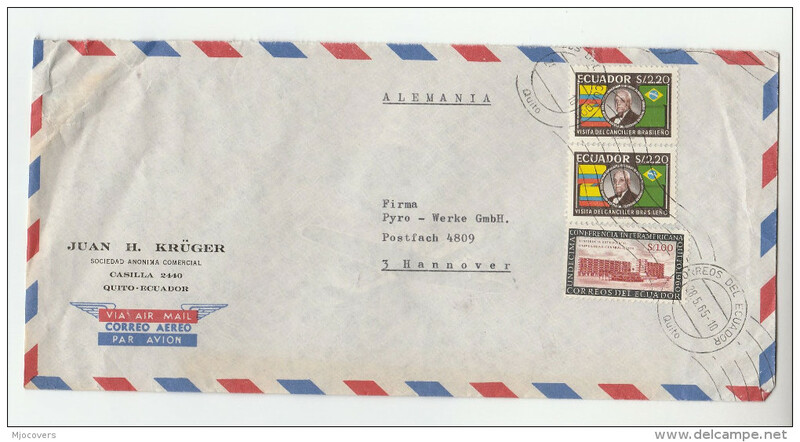 Ecuador 2004 Ecuador-Spain Postal Service umounted mint. 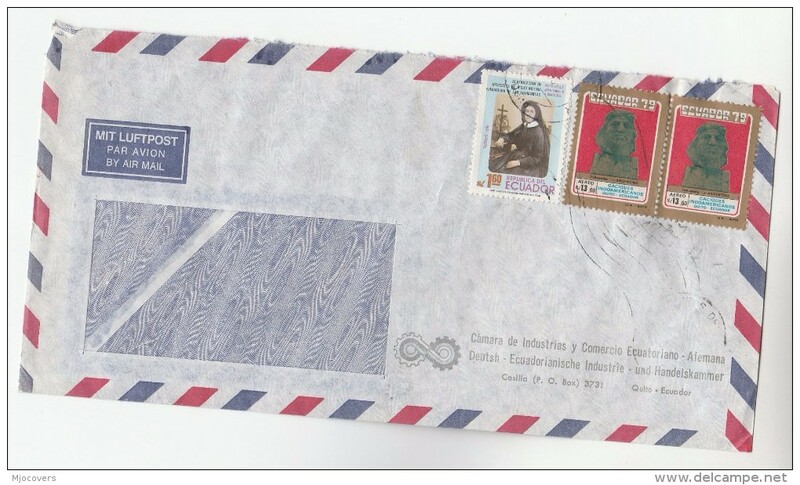 Ecuador 2004 Raphael Moran Valverde umounted mint. Ecuador 2004 Athens Olympics umounted mint. 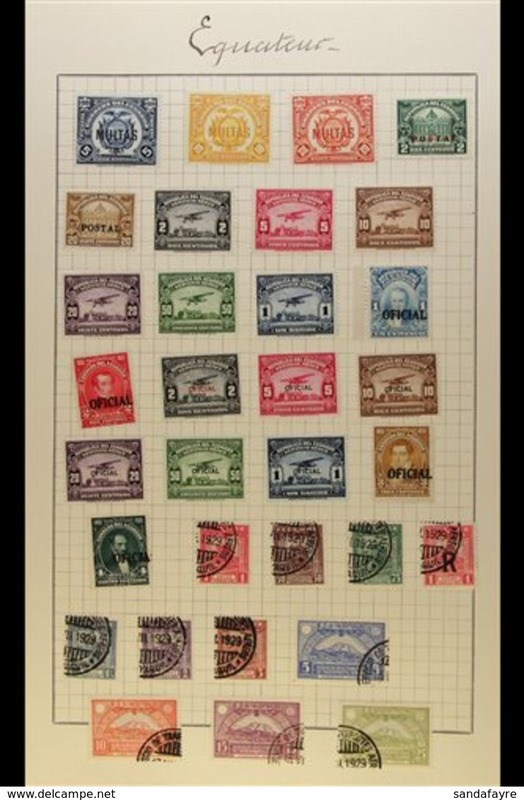 Ecuador 2001 CATI Motoring Club umounted mint. 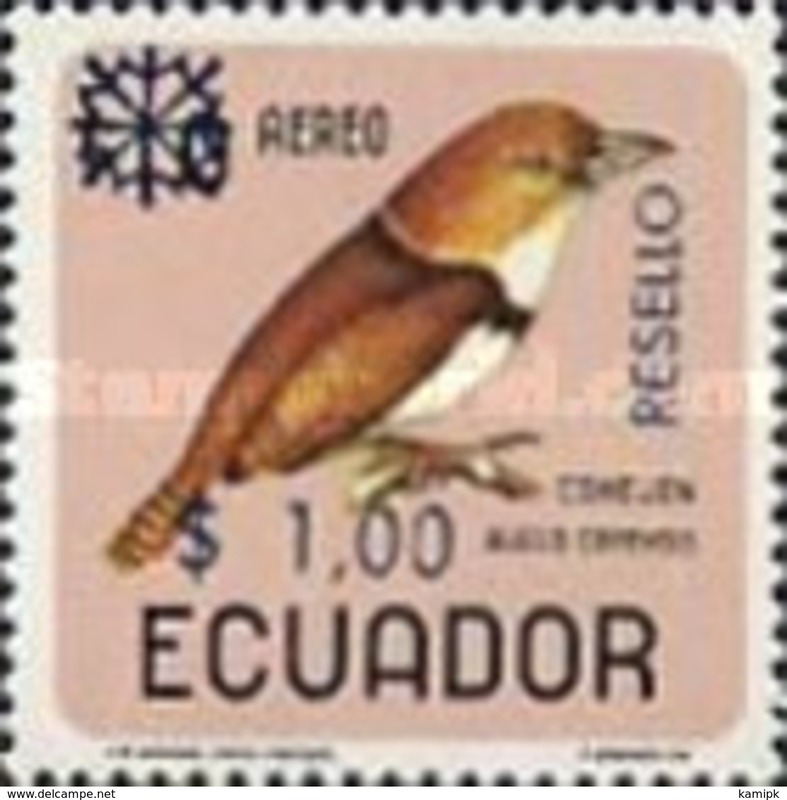 Ecuador 2003 International Bird Festival umounted mint. Ecuador 2002 Pujili Dances umounted mint. 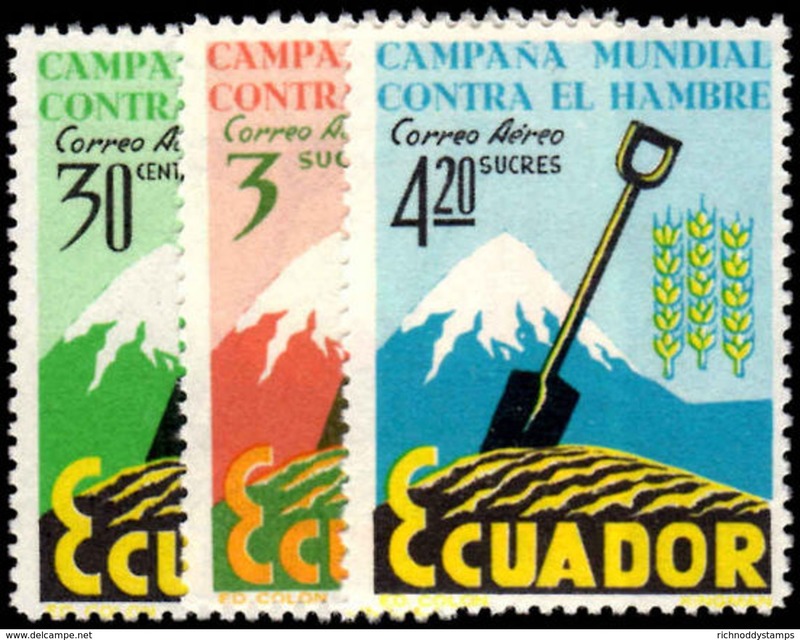 Ecuador 2005 AGSO Cattle Dealers Association umounted mint. Ecuador 2003 Guayaquil Museum Artefacts umounted mint. Ecuador 2005 National Army umounted mint. 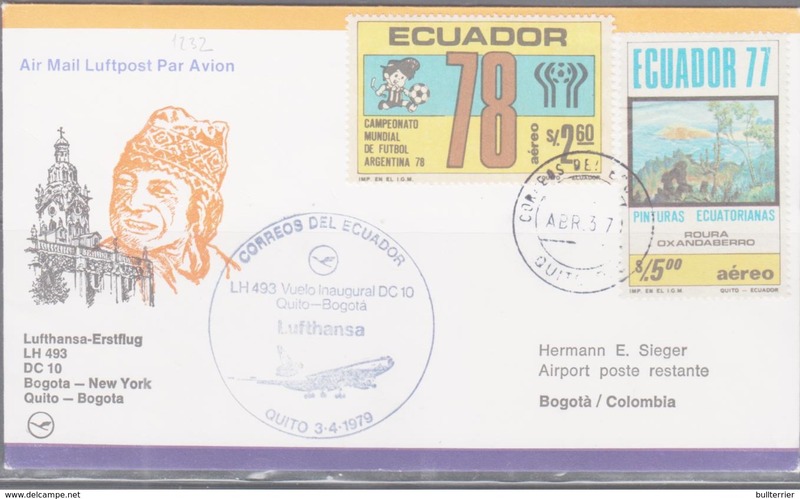 Ecuador 2002 Cuence Football Club umounted mint. 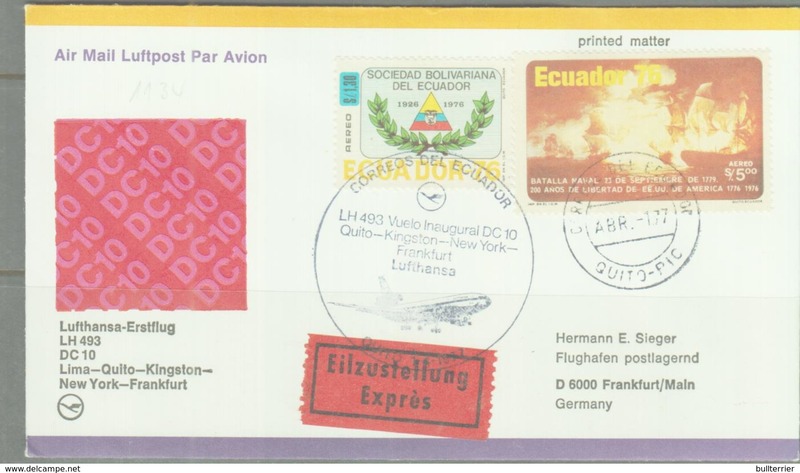 Ecuador 2005 Arms umounted mint. 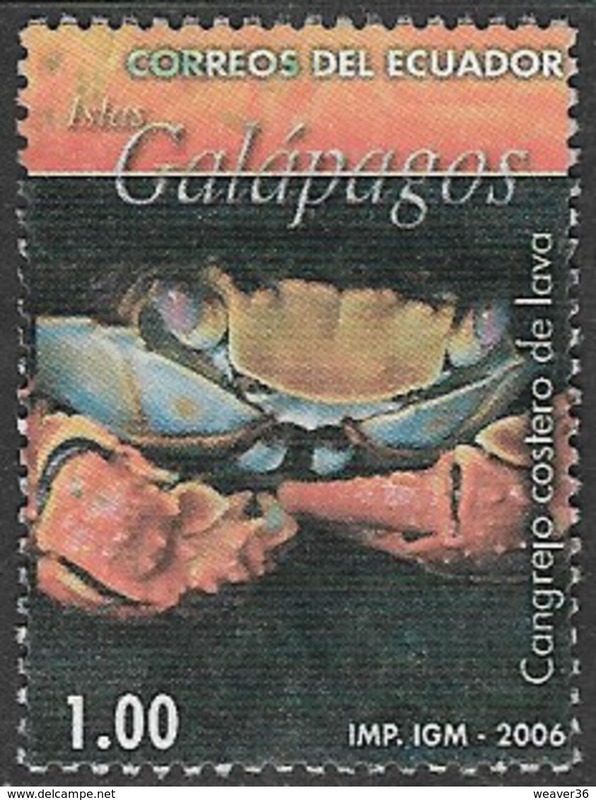 Ecuador 2003 Galapagos Islands UNESCO status umounted mint. 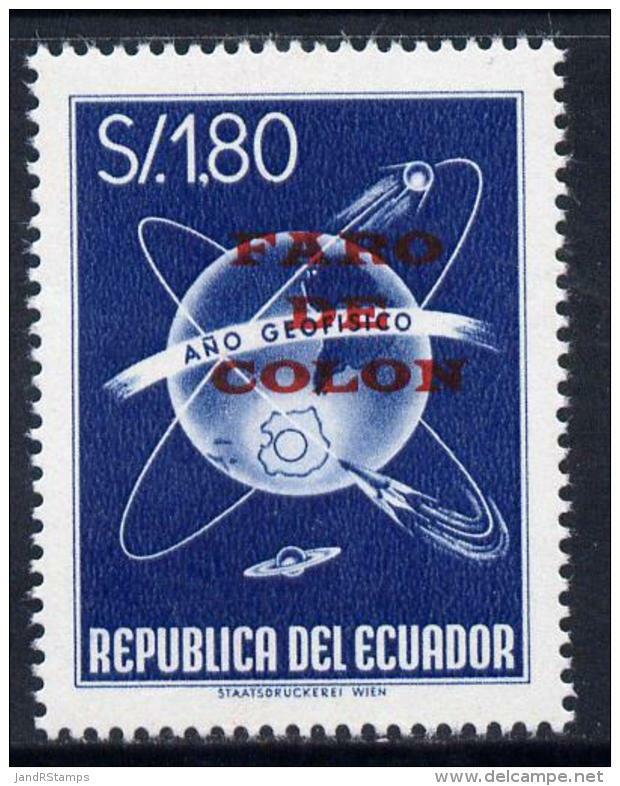 Ecuador. 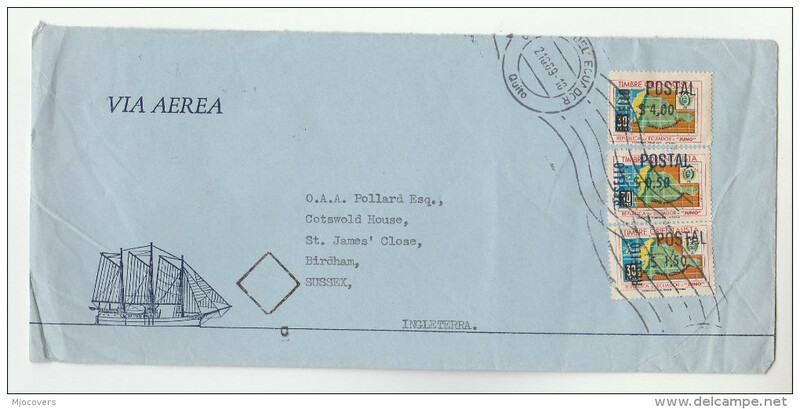 c. 1949-50. 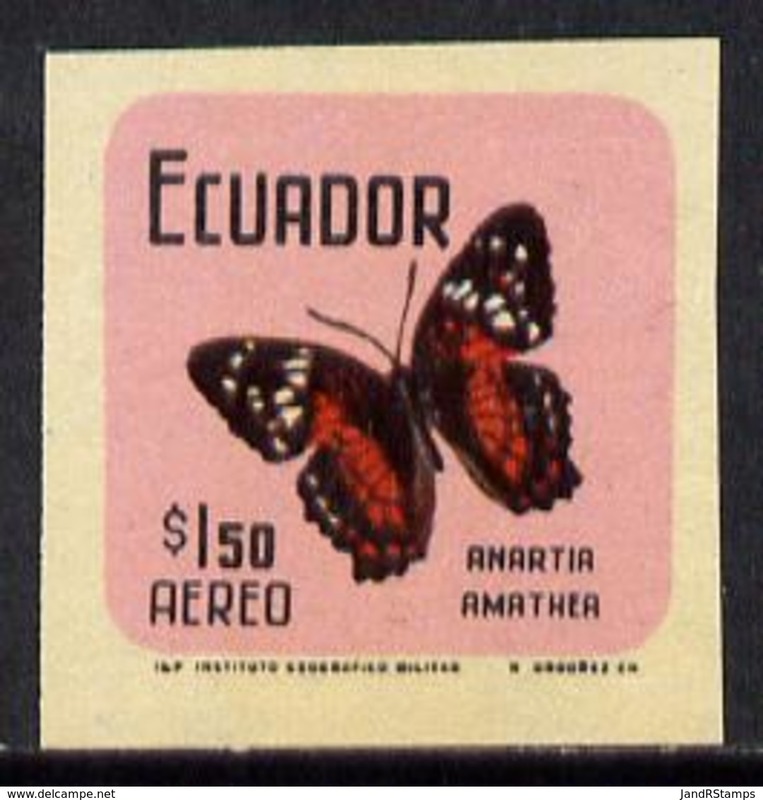 Latitude 0,0,0, Quito - USA, CA. 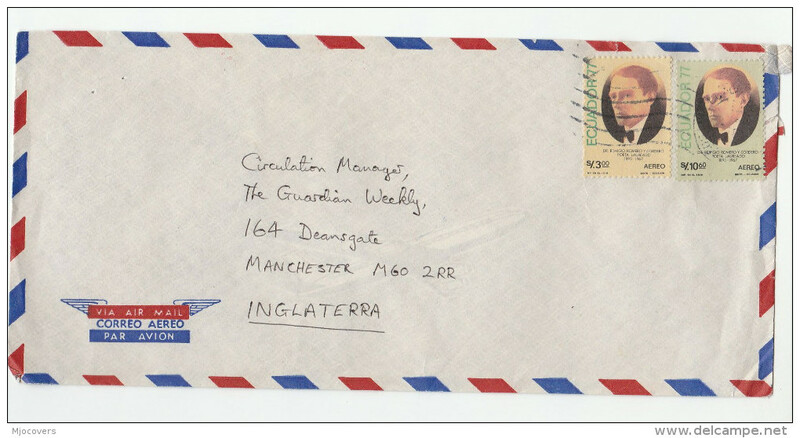 Air fkd card + sppecial cachet. Fine. 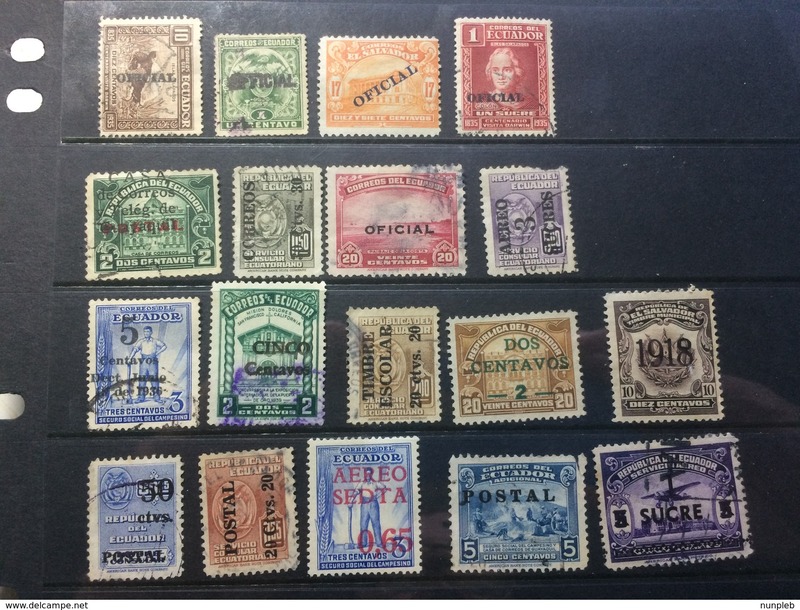 Ecuador. 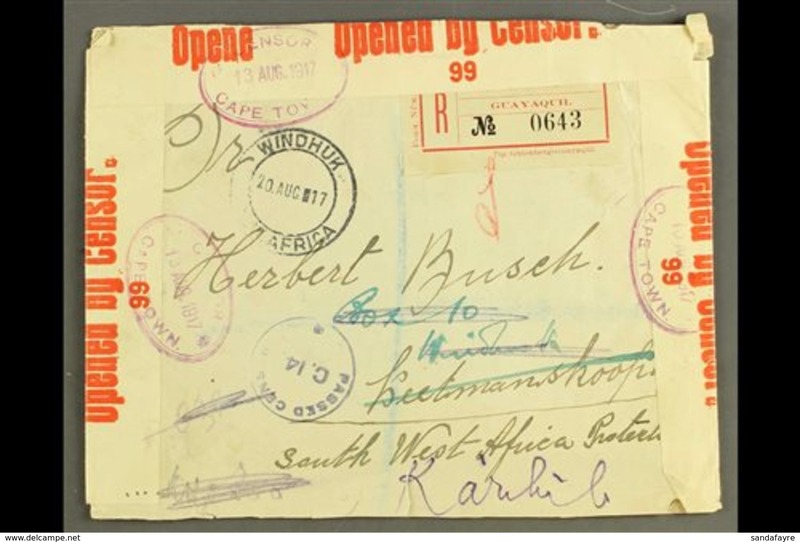 c. 1894-5. 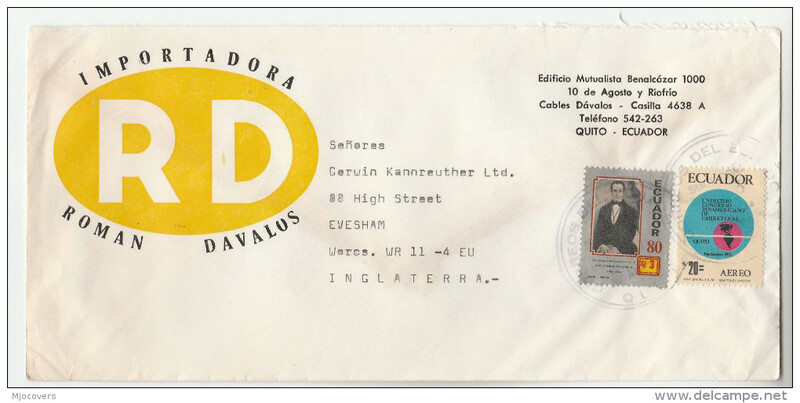 Quito - Guayaquil 5c / 10c orange / cream stat envelope. 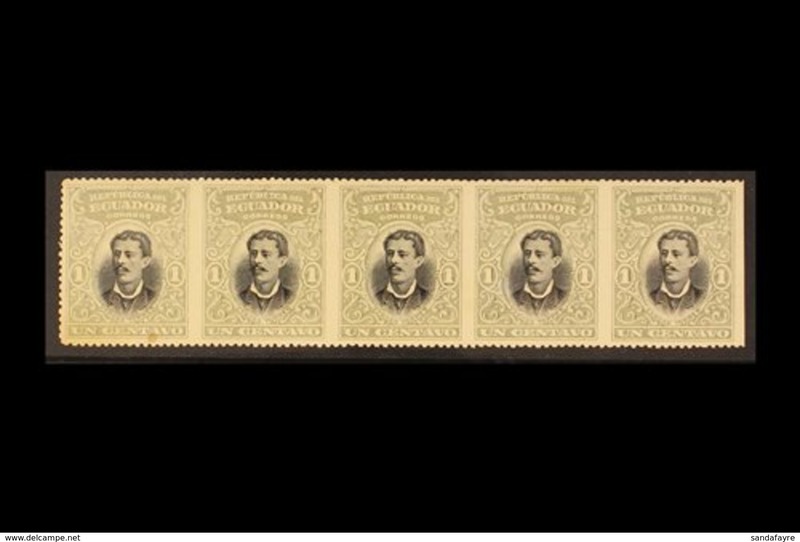 Fine used. 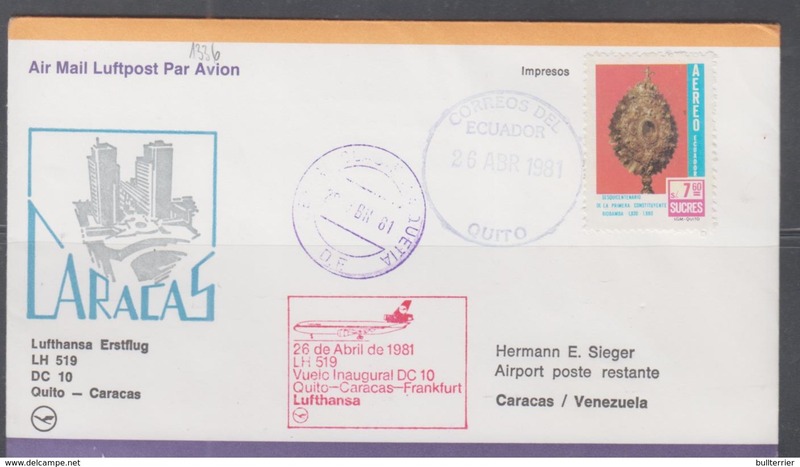 K141- Ecuador 1990. 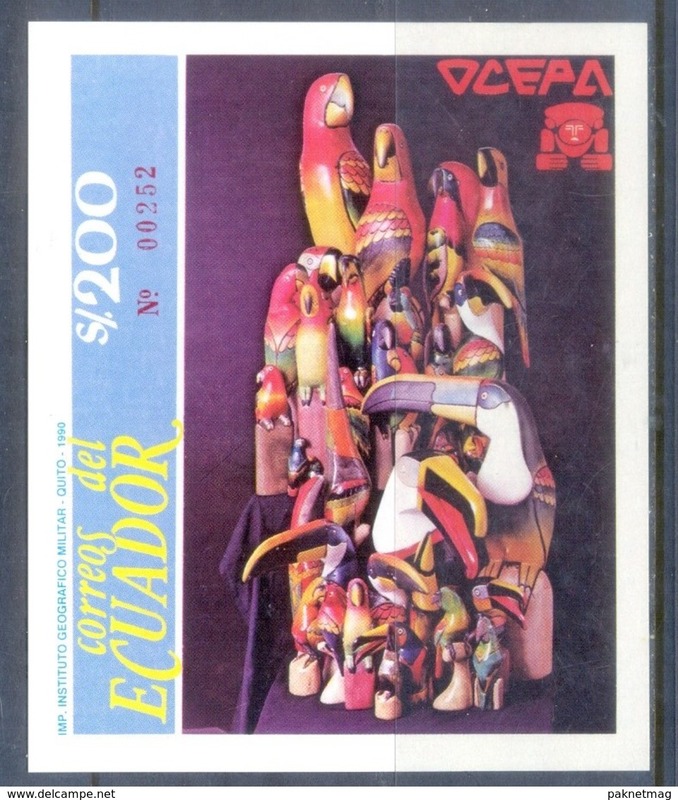 Handicrafts OCEPA 1990. Commercial Organization of Handicrafts. 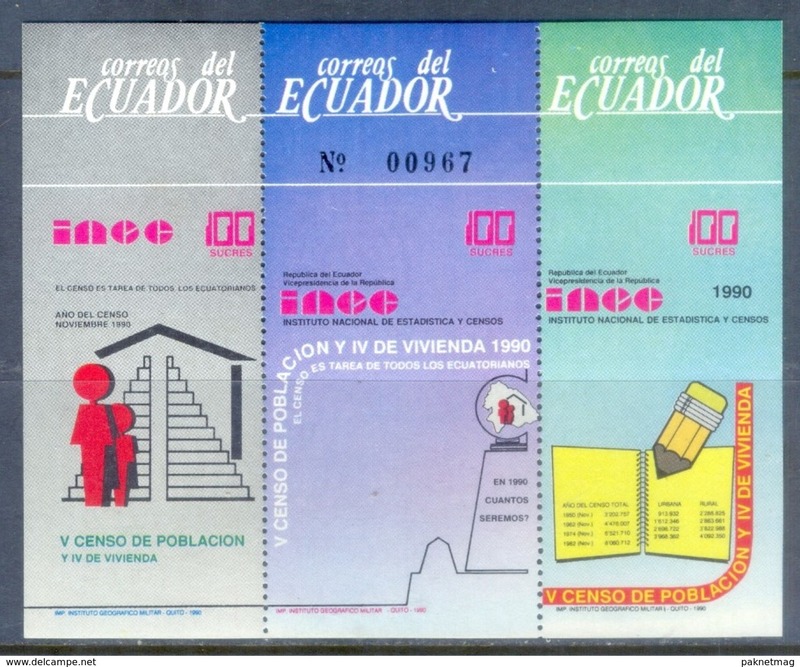 K140- ECUADOR 1990 NATIONAL CENSUS OF POPULATION & HOUSING SOUVENIR. 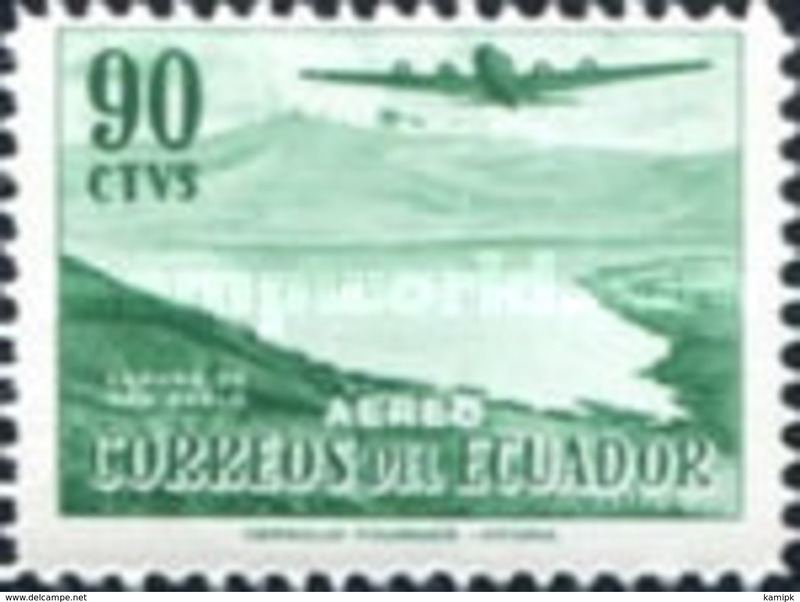 H180- ECUADOR 2015. 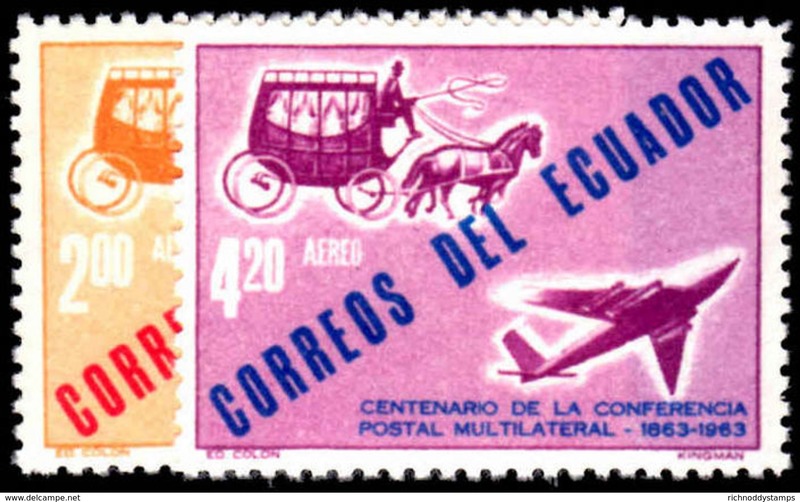 POPE FRANCISCO VISIT TO ECUADOR. 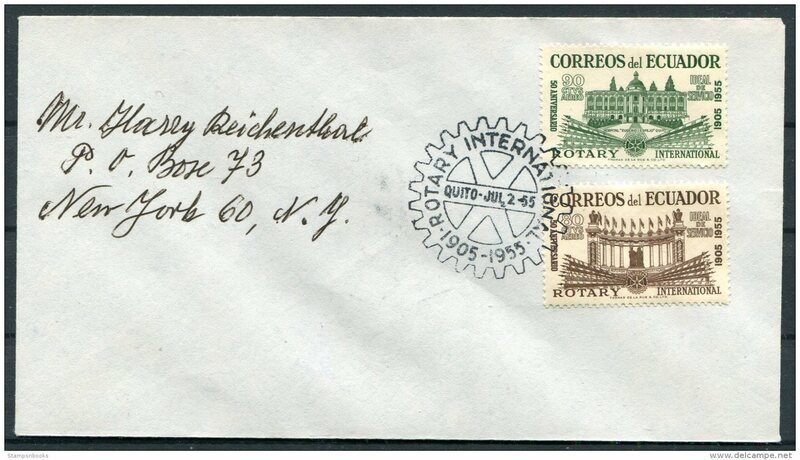 Ecuador 1971 Quito Postal Museum unmounted mint. 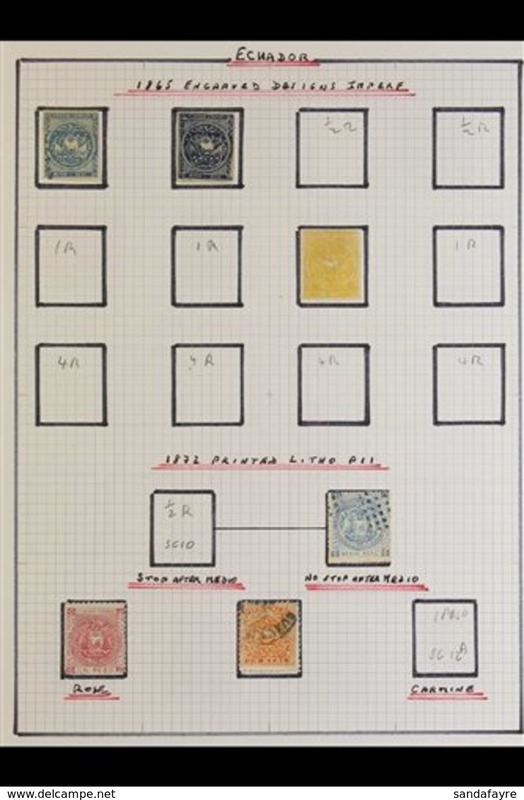 Ecuador 1962 Cantonal Arms of Tungurahua unmounted mint. 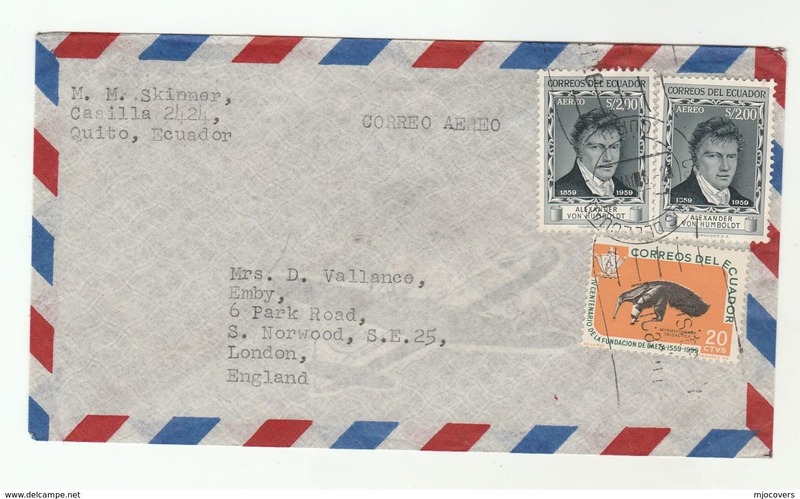 Ecuador 1961 Amazon Week unmounted mint. 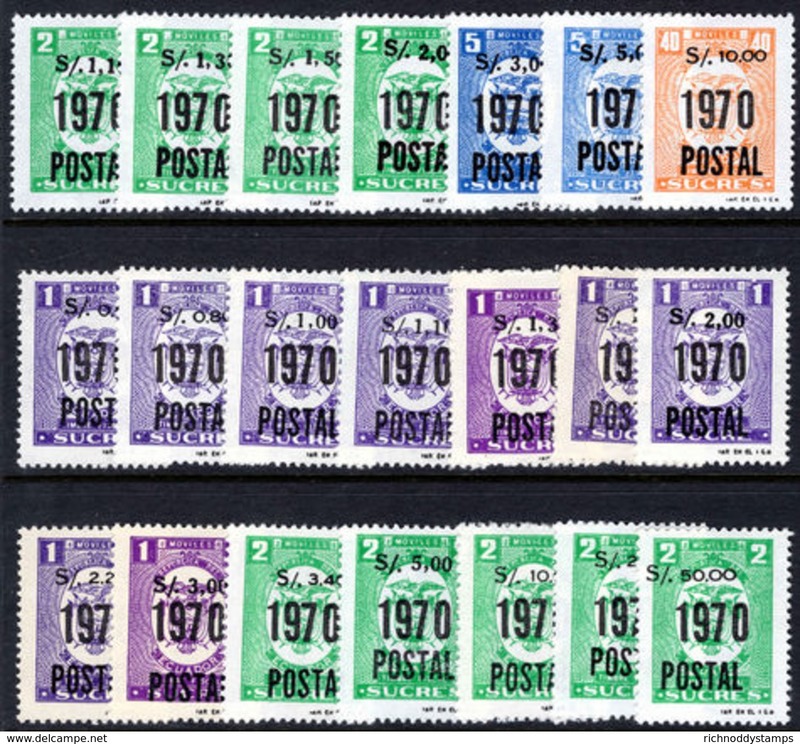 Ecuador 1969 Revenue stamps surcharge set unmounted mint. 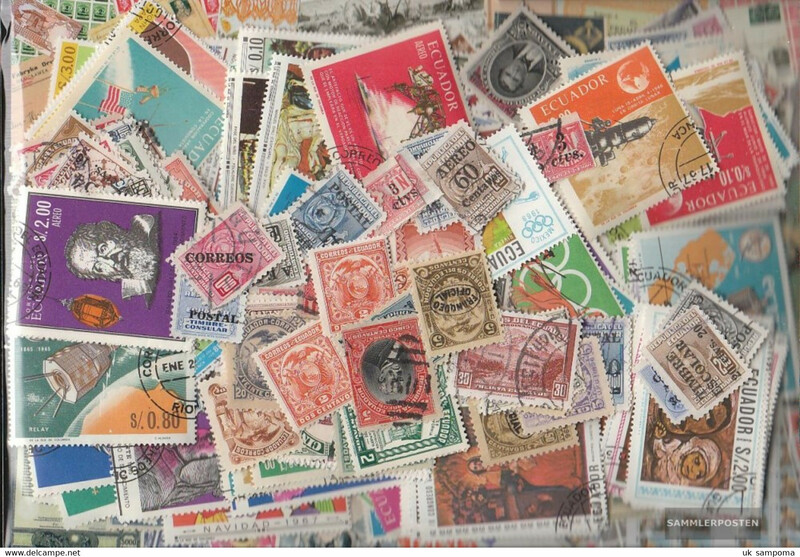 Ecuador 1969 Unissued stamps surcharged set unmounted mint. 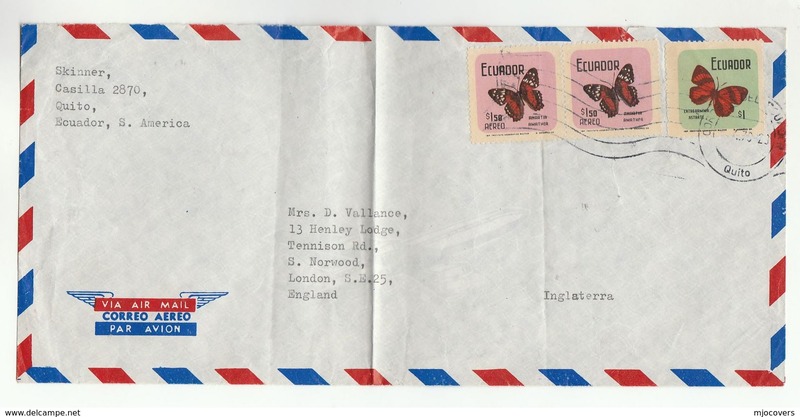 Ecuador 1965 National Anthem unmounted mint. 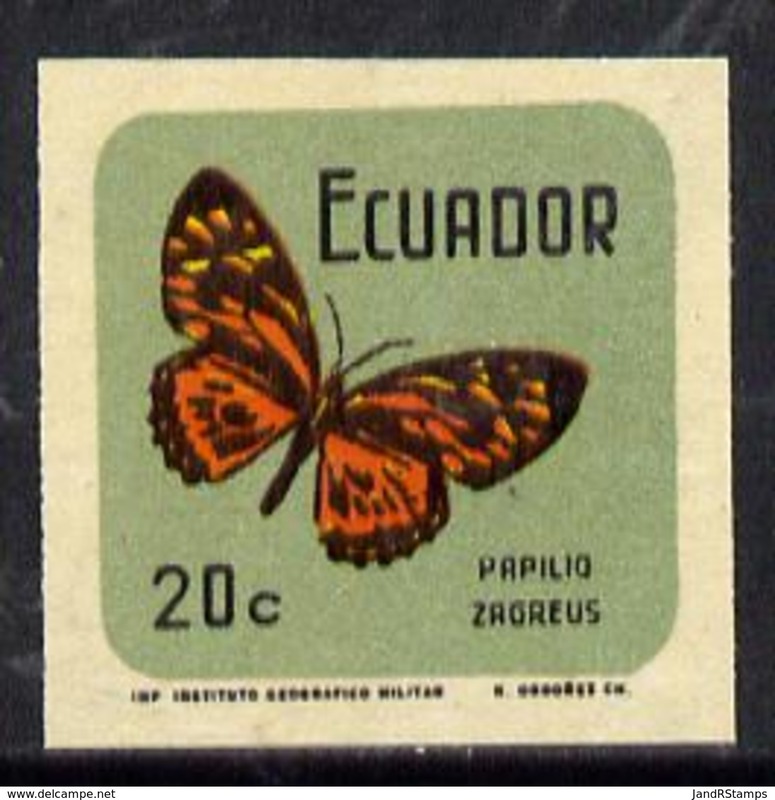 Ecuador 1960 Baeza unmounted mint. 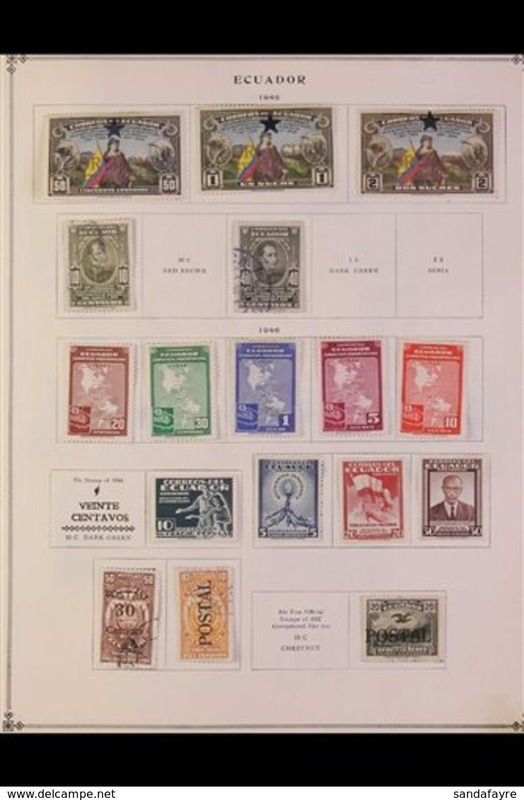 Ecuador 1971 Revenue Moviles set unmounted mint. 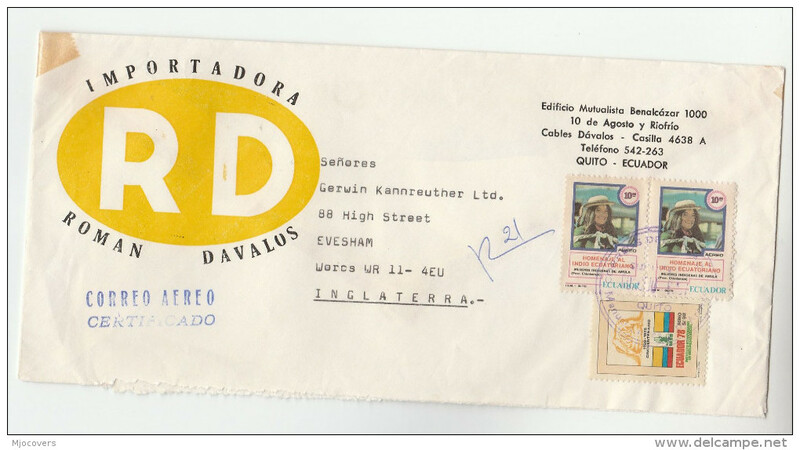 Ecuador 1970 Public Works Fiscal POSTAL set unmounted mint. 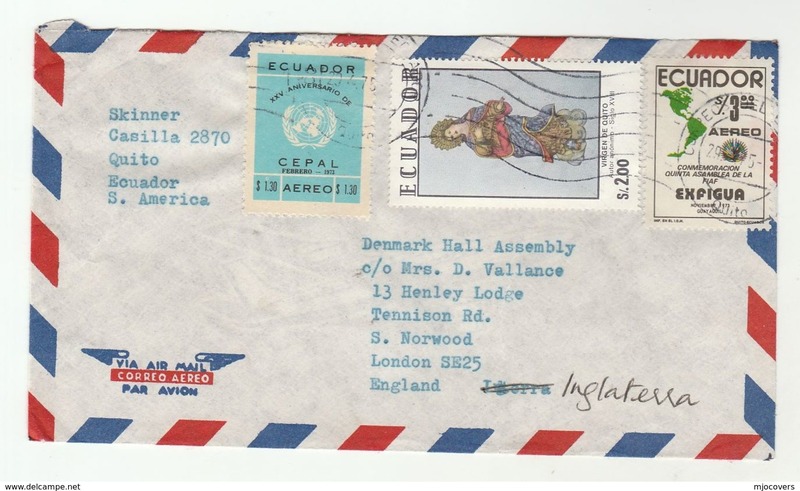 Ecuador 1963 Paris Conference unmounted mint. 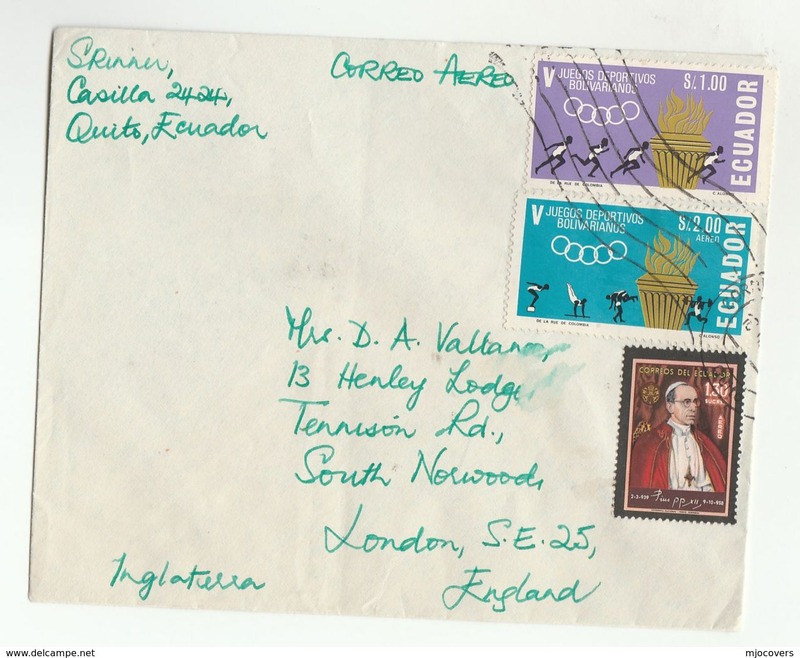 Ecuador 1963 Freedom From Hunger unmounted mint.